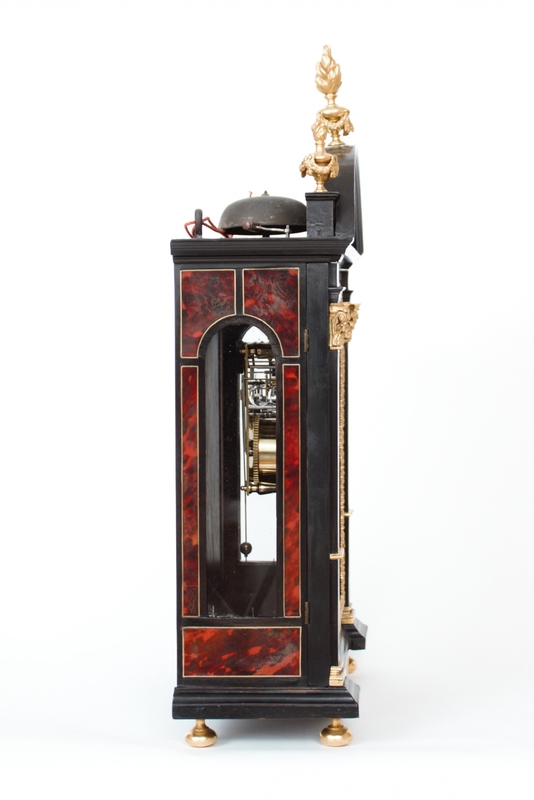 8-day movement with half hour striking on a bell, case veneered with pewter, brass and tortoiseshell so-called Boulle work. 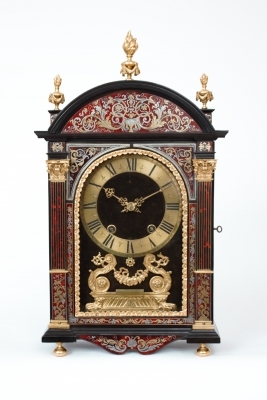 The 20.5-cm wide brass dial is covered with velvet. 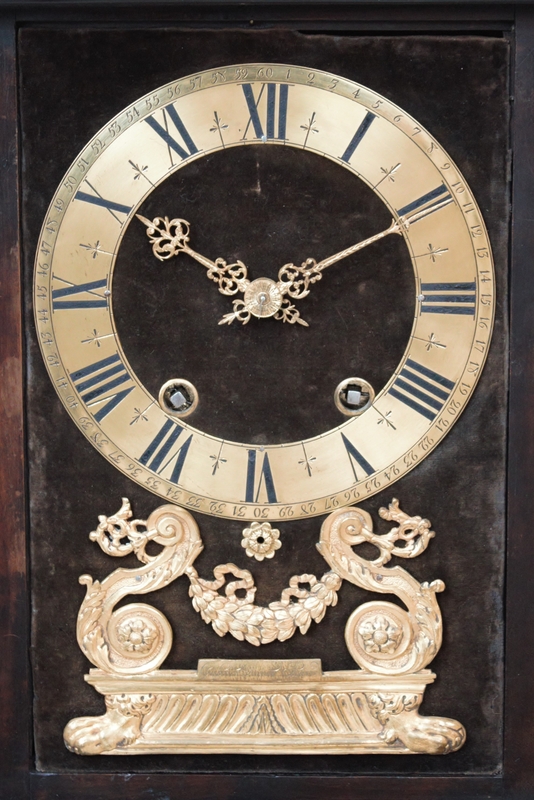 On it an engraved brass chapter ring with Roamn numerals and full outer minute marking. Below this chapter ring there is a brass ornament incorporating scrolls, garlands and claw feet which is signed Gabriel Duval A Paris. 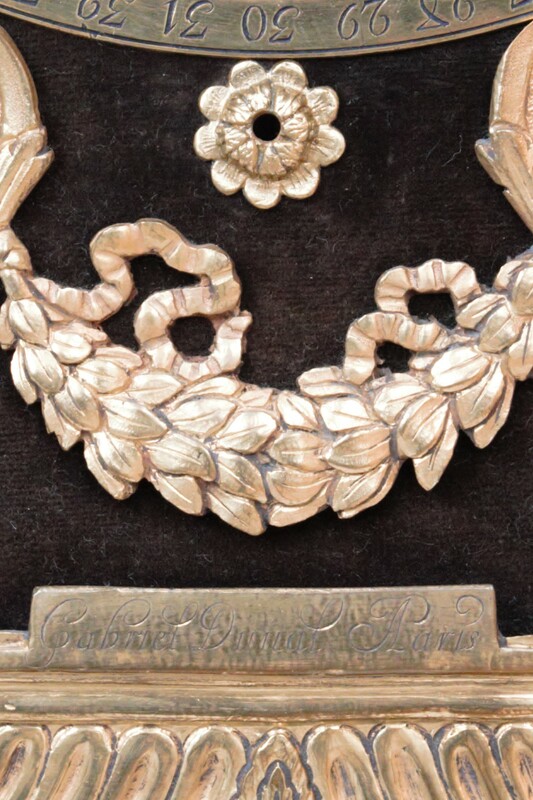 De gilt brass hands are finely pierced and engraved. The movement is driven by two spring barrels and has a duration of eight days. 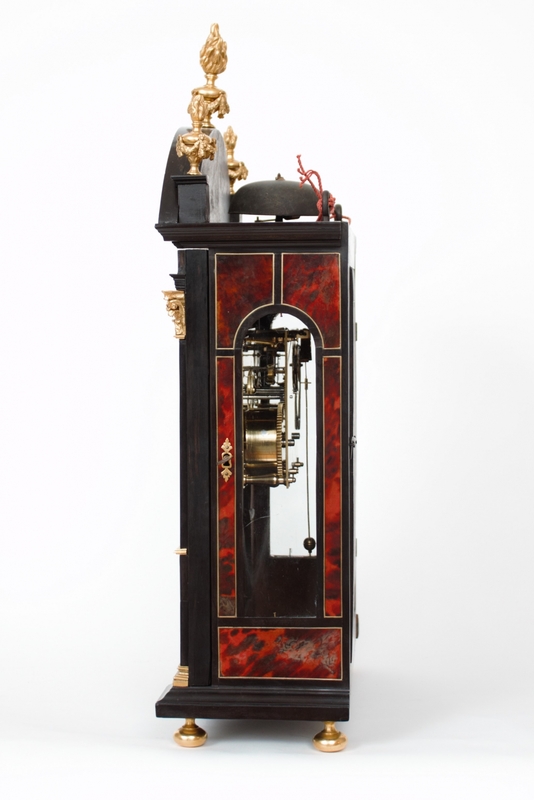 It is regulated by a verge escapement in combination with a silk suspended pendulum with cycloid cheeks. 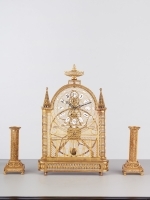 The brass plates are connected by fine baluster pillars and is signed on the back Gabriel Duval A Paris. 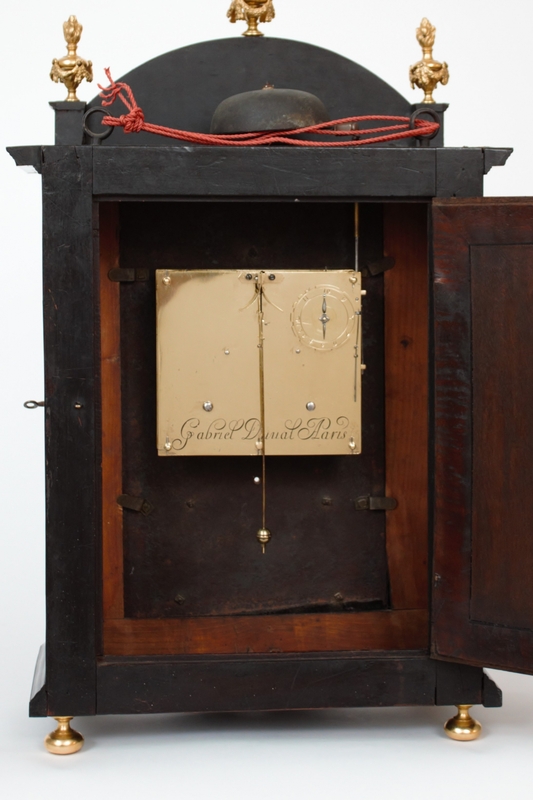 The clock strikes the hours and half hours on a bell by means of a numbered countwheel. 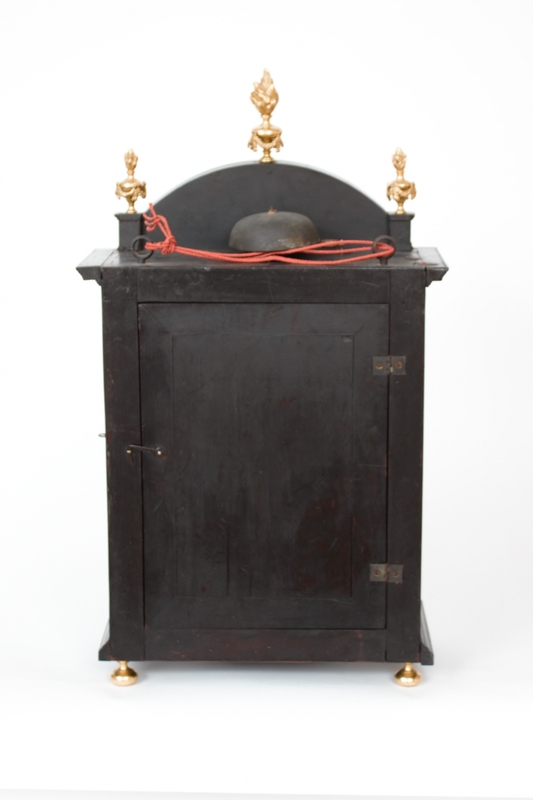 The case is throughout veneered with Boulle work of tortoiseshell in combination with brass and pewter. The foliate scrolls, leaves and birds are also engraved. 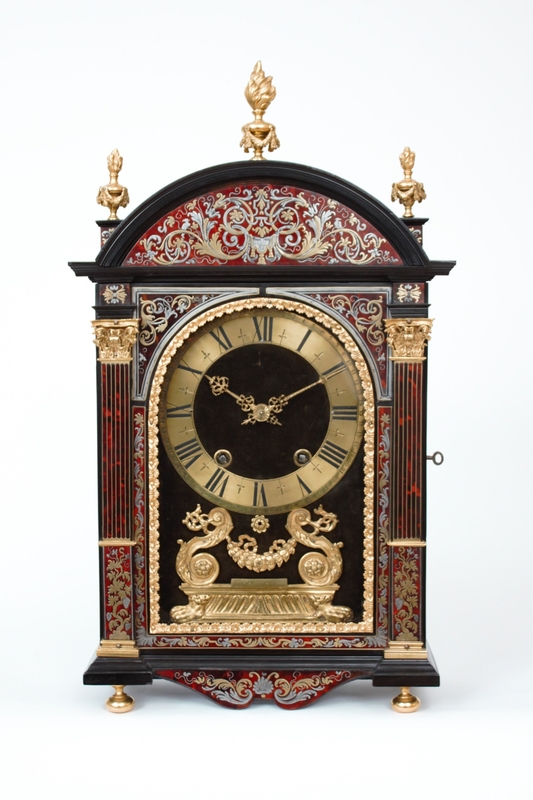 The technique is named after Charles-Andre Boulle, an ébéniste and designer who worked at the court of Louis XIV. 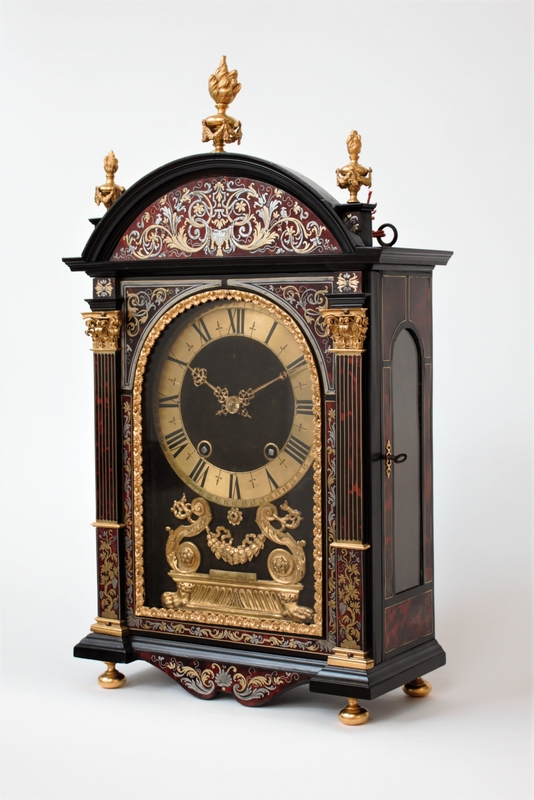 The clock is surmounted by an arched cresting with three finials. The glazed door is flanked by two pilasters with brass Corinthian capitals. The break front base is raised on turned feet.